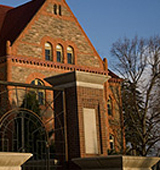 Johnson & Wales University-Denver is college with 1506 students located in Denver, CO. Describe the type of student who should not attend Johnson & Wales University-Denver and explain why. Describe the type of student who should attend Johnson & Wales University-Denver. Why? What is a typical Johnson & Wales University-Denver student like? Describe the type of person that should attend Johnson & Wales University-Denver. What are the top 3 reasons someone should attend Johnson & Wales University-Denver? The food, is to die for, seriously, you will not starve. The campus, along with its surrounding scenery is gorgeous. And everyone on campus is willing to help, if you are willing to help yourself. What was a typical Johnson & Wales University-Denver student like in high school? Describe the type of person that should attend Johnson & Wales University-Denver. At Johnson & Wales University, our pioneering educational model of combining academics, hands-on training, work experience tied to a field of study, leadership opportunities and career development has made JWU a recognized leader in career education. Opened in 2000, the Denver Campus is JWU's most traditional, with 26 park-like acres set against a stunning Rocky Mountain backdrop and just ten minutes from downtown Denver. Our industry-experienced faculty bring real-life experience, hands-on learning and networking opportunities into small classroom settings, where you'll build job-ready knowledge and skills. Through immersion in industry practices and experiential learning, we prepare you to both hit the ground running and to realize your long-term career goals. At JWU you'll take courses in your major from your first term, so you'll know right away if the field is right for you. In addition, dedicated career experts and faculty advisors will help you develop a career plan to further your goals. And through our specialized career courses, you'll hone your resume, build a portfolio and practice your interview skills. The center of academic life is the Student Center, which features a three-story atrium and food court. The College of Business, The Hospitality College and the College of Culinary Arts share a mix of turn-of-the-century buildings and modern academic facilities featuring an extensive library, a 450-seat event center and a demonstration kitchen in Jared S. Polis Auditorium, top-of-the-line culinary labs, and the Wildcat Center dining hall. Denver students enjoy a broad mix of social, cultural, educational and recreational programs including National Student Organizations, Greek Life, and interest specific clubs and programs as well as campus-wide events. The campus' Community Leadership Institute is a model for involved community service throughout the region. Explore JWU, and see how more than 85,000 alumni in 140 countries have launched successful careers. What are the top 3 things that students do for fun at Johnson & Wales University-Denver? Campus housing is available for undergraduates. Housing deposit : $300.00. No cars. No pets. The average student pays $25,116 for tuition, fees, and other expenses, after grants and scholarships. Total stated tuition is $27,156, in-state and on-campus, before financial aid. Learn more about financial aid at http://www.jwu.edu/financialaid/. Estimate the net price for you at http://jwu-denver.studentaidcalculator.com/survey.aspx. Johnson & Wales University-Denver participates in the NAIA Division II for college athletics. Want more info about Johnson & Wales University-Denver? Get free advice from education experts and Noodle community members.